Blog of Santa Cruz Spine and Sport — Welcome to SCSS! In today's exercise of the week we go over three stretches to help open up the hips. The first pose is warrior 1. Step into a lunge position with your front foot bent and you're back foot extended straight out. Your back foot can be turned out slightly. Keeping the hips square, and the front knee directly over the ankle, try and lower into your lunge. Relax the shoulders down and draw the shoulder blades towards the spine to open the chest. Try and hold it for a minute before switching sides. Inhale deeply into the belly. -If that stretch seems a little too intense. Grab a chair and set it down in front of you. Use the chair for balance. Go into your lunge, but only go as low as you feel comfortable with. If you can try and reach one arm up to the ceiling at a time. In the second position warrior 2 your front heel and the arch of the back foot should be in line. Raise your arms so they are parallel to the floor and reach them out to the sides. Palms down. Your back foot should be angled out at 90°. Make sure the front knee is in line with the middle of your foot. Bend your front knee so that your shin is perpendicular to the floor and if possible the thigh parallel to the floor. Turn the head to look over the front arm. Hold for a minute before switching sides. -If that stretch seems a little too intense, grab the chair again and set it in between your front and back leg so you're sitting on it. This should help a little with balance but also to help you get more comfortable with the pose. Reach your arms out, look over your front arm. Keep your torso facing the front leg, and the back leg straight. You can also grab the chair and twist into the front leg to open up the back. The last position is the frog pose. From all fours walk your knees out as far as comfortably possible. Keep your toes together sit back onto your heels and reach your hands forward. Hold for one minute breathing deeply, trying to lengthen the spine. -If this is a little to intense grab a bolster and set it against your thighs. From there lie over the bolster and relax into the stretch. Try these out and tell us what you think! Today we got a resistance band out. They're a great tool to have around the house and they can make an exercise more difficult. The resistance created by the band is going to make the muscle work more as the range of motion increases and make it more challenging to complete the movement. As a result what seems like a simple tool becomes very challenging. I love these since they are easy to do anywhere, and all you need is a band and yourself! 1. The first exercise is just your classic plank. I like to do sets of 30 seconds to one minute. However if that is too hard start with 10 seconds and work your way up! 2. The next exercise is a mountain climber. Holding your plank you're trying to bring your knees up to your chest without letting your core shift. Try for 6 to 10 on each leg. 3. Next is a seated row. Loop the band around your feet and pull both arms back pulling your shoulders back and together. Hold for a second and then return to start. Try for sets of 10 to 20. 4. Next stand up and wrap the band around your back. Now you are going to squat and then press the band out in front of you. Chest Press. Try for sets of 10 to 20. 5. Next step 1 foot into the band, and lunch the other leg in the front. Press the band out in front of you at an angle. Inclined chest press. Try for sets of 10 to 20. 6. Now step both feet back into the band and push your arms straight up over your head so your arms are in line with your ears. Overhead Press! Make sure you don't stick your stomach out in order to lift the arms above the head. Try for sets of 10 to 20. 7. From there push your arms so they are straight out in front of you and pull them apart so the band touches your chest. Bring them back together keeping the arms straight. Band Pull Aparts! If this is too hard to do while standing on the band step off the band and just grab one of the bands and pull it apart. The wider you hold it the easier the narrower the harder. Try for sets of 10 to 20. 8. Step back into the band. Now wrap the band around the front of your chest and your arms so your elbows are sticking out in front of you. Grab a hold of the band in front of your neck so it doesn't choke you. Front squat 10 to 20 times. 9. Lastly, step 1 foot out of the band and step backwards to lunge and step together or you can keep your feet apart and do split squats. Try for 10 on each leg! I like to perform these exercises in this order to get a total body effect. That way you can have a nine-station-one-band workout! There are different band resistances as well to make it harder or easier depending on where you are at physically. No matter where you are, whether you'restarting to train or an elite athlete these band exercises will build your core stabilization, and work on your mobility and strength to allow you to progress to harder multi planar movements. Try these Exercises out and tell us what you think! Share your attempts and tag us #scspineandsport to help us share our story! Today we are going over a couple different exercises that you can do at home to help with plantar fasciitis or if the bottoms of your feet are giving you trouble. You can also use these if your arches are starting to collapse. A quick easy test to see if your arches are collapsing is if you set up anything that's square against the bottom of your foot, in this situation we use a yoga block. Your ankle should be able to touch the block. You can see that Nikki's foot has a slight collapse since there's a little bit of a gap between her ankle and the block. In the first exercise we use a little blue ball. Begin at the base of each toe and roll all the way to the heel. Then pump the ball in between each of the toes along the middle of the foot until the beginning of the heel. You can also use the ball and pump it along the arch of your foot. Next grab a dish towel, set it on the floor and stand at the edge. Try to curl the towel with your toes. Follow that with some calf raises. You can do this against the wall to help with balance or in front of a chair. Start with your feet together and try and come up to your toes about 10 times. Then keep the heels together and turn the toes out to the side and come up to the balls of your feet 10 times, lastly turn the heels out so the toes are facing each other and come up to the balls of your feet 10 times. Rotator cuff and scapular strengthening. In this video @nikki_pettel is demonstrating the seven different exercises that we use to activate the rotator cuff muscles. We have different bands that we use, depending on the exercise. There are heavier bands and lighter bands. In this video the yellow band is the heavier band and the green band is the lighter, the yellow is about 7 pounds while the green is about 3 pounds of resistance. With the first three exercises start with the band at eye level. The first exercise is a row, using the heavy band. You are trying to engage your scapula's, pull the arms back, hold for two seconds and then return to start. Second exercise is the pull down, also with a heavy band. Engage your scapulas, making sure to keep your elbows extended, retract and pull the arms back pause and then return to start. The third exercise is the reverse fly, using the Light band. Again engage your scapulas, keeping your elbows extended, pull the band out to an iron cross position hold for two seconds, and return to start. Now move the band to knee level. Start with the lighter band, the first exercise is a 90/90 row. Row the band so that the elbows and shoulders are in line, then keeping the elbows and shoulders in line externally rotate the hands hold for 2 sec and then return to start. The next exercise is V for victory, also with the light band. Pull the arms up so that they are in line with the ears at a slight angle. Keep your elbows extended, hold for two seconds at the top and return to start. Next turn around, the third exercise is scaption, also with a Light band. Start with your hands by your pockets, keep your elbows extended and pull your hands up to about head height, then return to start. The fourth and final exercise is the incline plus, preform thiswith a heavy band. Start with your hands by your shoulders, palms facing down. You will almost feel a little bit of a chest stretch, then press out and up to about a little over your head. Protract, trying to reach an extra inch and then return to start. Next we have the dead bug, but legs only. Bring your knees up in line with your hips at a 90 degree angle. Keeping your back flat against the floor slowly let one leg kick out. Eventually trying to kick a couple inches off the floor and return to the starting position. Make sure as you kick one leg out you're not bringing the other knee into your chest, keep the knee over the hip. In the last demonstration we use our arms and our legs, alternating opposite arm with Leg reaching out towards the floor. This challenges your core; focus on keeping the core engaged and the back flat. This is a good exercise because you can progress or regress it depending on the athlete or how it feels while performing. Start in a quadruped position, perpendicular to the band attachment site. With your support base arm (left in video) try and push tall through the floor to prevent scapular winging. To make it a little harder for yourself try and keep a soft bend in the elbow. With the opposite arm, pull the band (right in video). Then keeping the arm with the band in place, rotate on your base arm. Focus on rotating through the scapula, not by pulling on the band with the opposite hand. The pulling and pushing of the arms helps with this movement which also contributes to the thoracic rotation. How to get rid of your Kids Holloween Candy in a fun way. I love Halloween! It has always been one of my favorite holidays, but the one thing I don't like is having all that candy in my house. Can you imagine the sugar high my kids get? I have a hard enough time managing my own sugar intake; after 10 pm Reese's Buttercups are my weakness. This year we decided to set up a trade with them. I went to Toy R' US and bought some fun things on the clearance rack, for instance, coloring books, bouncy balls, whoopy cushions, stuffed animals etc. I spent a totally of 22 bucks ($11/kid). I recommend buying the items without your kids, that way you can buy them a couple gifts keeping within your budget. I did have a family trip to Disneyland planned already, so as an extra surprise I added a "Family Experience Card" to announce the trip to Disneyland. I really like the idea of a "Family Experience Card," which is getting everyone together for an evening or a day to enjoy each others presence. It could be something simple like a family bowling night or a camping trip. These are great suggestions and tips on how we can substitute processed sugar for healthier choices. Think you know about sugar? I thought I was armed with sweet knowledge but after watching this incredible documentary, I was proven wrong. Below is a Trailer for "Sugar Coated." You can find this on Netflix. Intrigued? Sugar is everywhere. This is a famous lecture that Dr. Robert H. Lustig, MD, Professor of Pediatrics in the Division of Endocrinology at UCSF did 7 years ago that spurred a well-known dialogue about the substance - but you have to watch to find out just what that conversation is. We had a blast working on the competitors at the 2016 Santa Cruz Crossfit Affiliate Cup! Crossfit West did a great job hosting the event. This year Santa Cruz Spine and Sport had two of its own competing: Dr. Aaron Van Brunt competed for Crossfit Amunson and Nikki Pettel competed for Crossfit Santa Cruz. We're proud to say that Nikki's team made it to the finals and placed third! Click on the link below to see more pictures! I love the Fall. The days are still warm with cool nights, town gets a little less crowded, and north and south combo swells start hitting. like the seasons change so have our schedules. Above is an overview of our new Fall weekly schedule at Santa Cruz Spine & Sport. There has been a lot of talk lately about the role that intermittent fasting and Ketogenic diets play in order for the body to be in a fat burning state. Let me tell you my experience with it. I have messed around with my macros percentage (fats, proteins, carb), increasing the my good fats up into the 80-90% while limiting my protein to 10-15% and my carbs to some greens at every meal. It was really fun to see the effects that the ketogenic diet had on my body, especially in my brain functions. For the most part, my energy levels seemed to stay more even keeled while my brain was able to focus better. If you want to learn more about this specific diet, I would also suggest starting with this podcast that features Dr. Dom D'Agostino on the Tim Ferris Show. You can also check out www.KetoNutrition.org website, which has a lot of information on this topic. Although I think the Ketogentic diet may have a place in someone's life, for many of our clients it can be confusing and difficult. One of these complications is the commitment. One must have consistency of measuring out the macros throughout the day. Another aspect of this diet is contingent upon monitoring your blood glucose and ketone levels which is done with the 'finger pricking' and therefore allowing you to know if you are in ketosis. I personally used the Precision Xtra monitoring System, which does both Ketones and blood glucose monitoring. You will also need Xtra Blood Ketone Test Strips which can be costly. If you're not happy with how your body and brain are feeling, and this Ketogenic Diet seems enticing to you, by all means, go for it. But getting huge benefits on lowering cancer recurrences, increase longevity, reduce inflammation, there are simpler and easy ways available. Take a listen to the Dr. Rhonda Patrick Ph.D. talking with Dr. Ruth Patterson Ph.D. (TIP: Start at the 8 minute mark to here about time-resticted Eating in Humans.) Then come back to the blog so we can talk about the main points! In her discussion, Dr. Patterson brought up many key points. The fact that many people like to do the intermittent fasting - where they skip breakfast - because they are eating late into the evening and night. We all know someone like this. Maybe it's you. But let me tell you a little about what your body goes through when we skip such an important meal. Her clinical researched showed that your last meal should be in the early evening around 6-8. This way you're allowing your digestion a 13 hour break until the next meal. Use this as a calculation -If your last meal is at 6pm, then your next meal should be no earlier than 7am. This is why breakfast is called breakfast. You are breaking your fast in the morning after 13 hours of no food. Drinking water in those 13 hours is fine. You can play around with the time frame and do it longer and see how your body feels. Some people do a 16/8 or a 15/7. However most people are going to find it difficult to skip breakfast if they haven't eaten in 13 hours. Here are some of the benefits that they saw: 40% decrease in recurrance of breast cancer, better Metabolic function (glucose regulation), less inflammation, and better sleep. Congrats to Santa Cruzian Nic Lamb for winning Titans of Maverick last week.
) Cross your feet. Once crossed, push them against each other and you should be able to feel more core engagement. This can should be a light engagement otherwise you will fatigue them out.
) while laying on your board a few cat/cow or pelvic tilt exercise get a sense of what your end-range is in extension, and how far you can tuck your pelvis posteriorly. Do this should straighten the lumbar curve. Listen to a point where it feels like you have taken pressure off of the facets, but still has a lordosis in the lumbar spine. For the most part surfing is really great for your back. All day long we are usually in a flexion position ie sitting at a desk, sitting in the car, sitting on the couch. Everyone could benefit from incorporating a type of extension exercise regime into their life. Yoga, swimming, or surfing are a great way to make sure you are getting enough extension and opening up your heart. A common cause in the surfers that I treat for low back pain and neck pain is that have lost mobility in the thoracic spine. They try to make up for it in the lumbar spine, especial at the lowest vertebral joint L5/S1. Usually the lower abdominal core is not also not engaging either which allows the person while surfing to repetitively hyper-extend at the L5/S1 area. Over time this will cause irritation, inflammation, and pain and can lead to earlier degeneration of the facet joints. If this is an issue for you, there are a lot of things you can do proactively. If I were you, I would go to your trusted movement specialist weather that is a physical therapist, chiropractic, personal trainer ectera. Have them see what your score is on the functional movement screen (FMS), or if you are in pain, see what shows up on the Selective Functional Movement Assessment (SFMA). These assessments will really help to find the underlying causes and not just treat the pain symptoms. Usually the underlining cause is a Combination of a mobility issue and a motor control issue. Typically we have have to address the restrictions and pains in the muscles and joint complexes. We find that HMT, a acupressure technique is usually the fastest and most effective for releasing these restrictions, but often we incorporate Active Release Technique (ART) and Graston Technique as well. The Pain from the Facets joints can be relieved with some an side posture chiropractic adjustment. This not only will increase blood flow to joint, and help to increase synovial fluid, it will help break up the fibrosis laid down by the inflammation. This fibrosis over time will thicken causing restriction and decreased range of motion of the spine. For those that aren't ready for an adjustment a series of body work treatments to the muscle and fascia is essential to maintaining elastic and strong tissues fibers. Pro-Football player and local boy Andy Levitre knows how important getting a tune up is and some deep tissue work. Posing here in our new office with Tiffany Logan CMT, his go to deep tissue massage therapist when he is home on the off-season. Text us at 831-713-8400 to schedule your tune up with Tiff. What I love about Tiffany is she get in there and makes a real change. Being a beach volley ball player, rock climbing, surfer, crossfitter, and mountain biker she has had her fair shares of sports injuries and know from personal experience what it feels like not being able to do the things you love. She is amazing at dealing with sports injuries in the shoulder, low back, neck, hips and knees. If you have want to thank Tiffany her work on you go to our Yelp page or Facebook page to let her know with a review. Thank you everyone for coming out and supporting us at our Grand Opening party in our beautiful new location on River St. We had a great turn out of about 150 people. It was really fun giving away some of my favorite health and wellness products at the raffle, and that taco bar was insane. With this bigger space we announced that we not only will have Chiropractic and Massage, but will be a introducing Yoga and Personal Training as well. Amie O'Donovan, yoga teacher will be here Tuesdays and Thursdays at 10am. We are going to also start opening up chiropractic hours on Tuesday and Thursdays sandwiching the Yoga class at 10 a.m. so that following your chiropractic visit you can step into a yoga class, or after the yoga classes you can do a Chiropractic Adjustment add-on for $20. We also have brought on two amazing personal trainers. Tammy is a fitness consultant certified as a personal trainer for general athletic, & pre/post natal conditioning. She is also a corrective exercise specialist which through assessments, designs programs to address muscle imbalances and movement deficiencies to improve function and decrease risk of injury & chronic pain. On Wednesday afternoons she will be co-managing patients with me and on Thursdays from 2-6 she will be doing privates or semi-privates. When she not training with us she can be found training at Rocky's. Tiffany Logan, Certified Massage Therapist came with me to the new location and is giving deep tissue massages Monday thru Friday. Her schedule is usually booked out 2 weeks, so make sure you schedule well in-advanced. Our mission at Santa Cruz Spine & Sport is to help you Move better so that you can feel better so that you can live better. We do this through Chiropractic, Massage, and Personal Training. Each disc consists of a semi-fluid centre or nucleus surrounded by semi-elastic rings of cartilage. These rings of cartilage are made up of collagen fibres - the tough substance that ties all your tissues together. Because of its elasticity and semi-fluid nature, the nucleus (central core) of your disc allows any compression forces on the spine to move evenly in all directions thus spreading the load. Bending forward the nucleus pushes the nucleus backwards (i.e. Disc bulge) and as you bend backwards it moves forward. That is why for Discogenic pain extension exercises like Cobra are beneficial. Your discs are always under constant pressure. In the early 1970's Professor Nachemson of Sweden measured the pressure in the lumbar discs of a group of "volunteer?" students. It was found that even when you are lying down there is still considerable internal pressure. When sitting and particularly when sitting and leaning forward without back support, the pressure increases markedly. In other words more muscles are working and further compressing your spine when sitting than when you are standing upright. White areas of the graph above the broken line show body positions in which fluid is squeezed out of your disc. The shaded areas (below) are ones in which fluid is sucked in. A column of blocks of bone separated by elastic mobile joints would tend to be unstable and flop about. To add the necessary stability these blocks of bone (vertebrae) are joined to each other by strong semi-elastic ligaments. Because these ligaments are under constant tension they impose a compression force on your discs. - Chemical structure of your discs are about 85% water and contain mainly in the central core or nucleus. Within this fluid there are the specialized cells called 'chondrocytes'. Their function is to manufacture a chemical compound known as proteoglycan - the principal ingredient of the 'lubricant' that allows our joints to move freely. Chondrocytes are living cells and, like all other living cells in your body, require regular nourishment and a means of ridding themselves of waste products. Unlike the majority of other cells, however, your chondrocytes cannot receive nourishment from the blood supply because of the extreme pressures under which they operate. They use instead a unique system of movement which helps maintain the different electrical potentials - drawing in oxygen and pushing out waste products. The outer walls of the disc and cartilage end plate act as a sort of selective semi-permeable membrane. This allows water and chemicals to pass through, including those chemicals necessary for your chondrocytes to function. At the same time waste products of this process pass out. At the center of the disc the concentration of essential nutrients is only just great enough to maintain your chondrocytes in reasonable health and the waste disposal action is only just coping. Without adequate diffusion, assisted by movement, the chondrocytes can easily become starved. Movement is the best aid to this diffusion. Your discs were designed for this modern day sedentary lifestyle. One position for too long, whether sitting, standing or lying down is no bueno. Take micro-breaks every 15 minutes and nourish your chondrocytes. You back will thank you. The best form of Vitamin B12 has two active co-enzyme forms: methylcobalamin – Used in folate metabolism and brain development, and adenosylcobalamin – Plays a role in energy metabolism and the formation of myelin around nerve cells. According to this review suggests vitamin B12 deficiency should be treated with a combination of these two forms to achieve the best clinical results, stating also that oral versus intramuscular routes can be equally effective. Regarding the route, it has been proved that the oral route is comparable to the intramuscular route for rectifying vitamin B12 deficiency. LINK to ABSTRACT Treatment of vitamin B12 deficiency - Methylcobalamin? Cyancobalamin? Hydroxocobalamin?-clearing the confusion. Vitamin B12 deficiency symptoms are both Hematological (pernicious anemia and neurological. Megaloblastic anemia may result because of the effects of the B12. Clinical signs of folate metabolism deficiency: shortness of breath, fatique, weakness, irritability, ore tongu, decrease in blood cell counts (red, white and platelets). 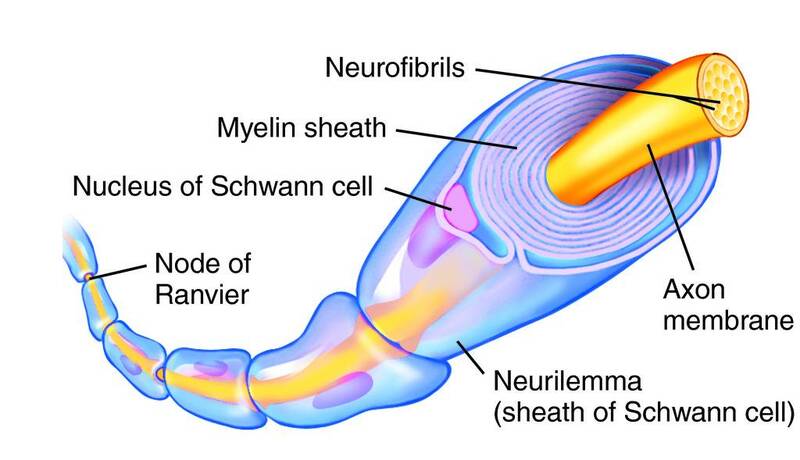 Neurological symptoms are seen as a progressive neuropathy with loss of position sense and ataxia. If repletion of B12 is not performed then permanent neurological damage, including degeneration of nerves and spinal cord can result. Recent evidence suggests that mental symtoms of depression and fatique are detectable before anemia develops. B12 is vital to prevent of homocystine accumulation (toxic metabolic byprodduct linked to cardiovascular disease connective tissue abnormailities. Cobalamins are strictly from animal food, not in plant food.